When our cells don’t get the nutrients they need, calorie-burning metabolism slows and we experience chronic hunger and cravings. This is one of the underlying causes of weight gain and why so many Americans are overweight. A lack of the right kinds and quantity of nutrients is also why so many people that lose weight gain it back. We will teach you how to choose and prepare food that has the most nutrients and to use specific food-based supplements so your cells get all the nutrients they need to burn more calories while also reducing chronic hunger. Most programs are so focused on weight loss that they do very little to prevent you from gaining the weight back. To lose weight and keep it off, you need to stabilize your weight once you reach your goal. You also need to know how to maintain it once it has stabilized. We will teach you how to do both and then provide feedback tolls to assure you can do this properly. 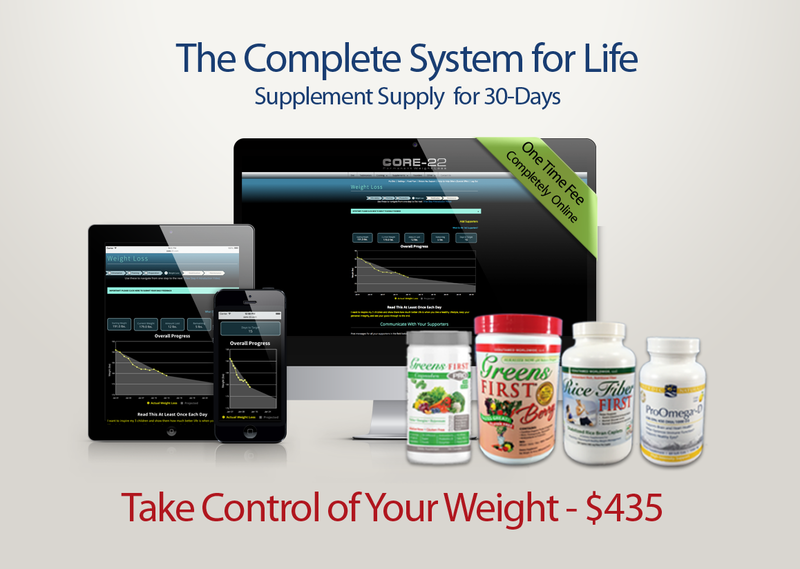 We will use video to teach you all twenty-two principles, or factors, that determine what happens to your weight. This will assure you understand why you weigh more than you want, and how to lose as much weight as you want. Knowing all the principles will give you the flexibility to choose which principles to apply to fit your personality and particular situation, to customize the program to meet your particular needs. To apply the 22 principles, you need to know what you are doing right or wrong each day. Our daily feedback system will allow you to make adjustments in your behavior until you have mastered each new principle. Each day we will send you a text or email message that includes a link to take your weight loss program. Here, you will enter your weight, answer twenty-two yes or no questions based on the principles, and in no time at all, learn the relationship between what you did or didn't do, and your results. This process makes it possible for you to learn the consequences of your actions so you can make better decisions about the factors that determine your weight. Before starting to lose weight, we will ask you to consider the difficulties you may have faced while trying to lose weight in the past. We do this so you can consider them as you progress through the program in an effort to minimize those difficulties this time. We also ask you to consider the underlying reason weight loss is so important to you. We will use your answers during the feedback process to keep you motivated and making progress. We send you a reminder text each morning with a link to the questions related to the principles. This makes it easy to know what you are doing right or wrong each day. It takes just 30 seconds. This is where you will see a graph of your progress and a projection of the days it will take to reach your goal based on your rate of progress and our experience with thousands of people just like you. We will teach you which foods have the highest nutritional content, the fewest calories, and how to judge portions that are perfect for your height, age, gender, and activity level. If you don't know how to cook, we have cooking videos to teach you how to prepare meals based on the weight loss food plan that are healthy and taste great. It's ten times easier to stick to the program if you have the support of a few close friends and family members and we make it easy to enlist their support. We send supporters regular text messages that include a link to a page where they will be able to follow your progress. If they like, they can also leave you a message from time to time. Supporters motivate you to keep making progress and to stick to the program until you reach your goal. When you reach your goal, You will learn how to stabilize your weight. This is not difficult but without it, it's much more difficult to keep the weight off. This is why most people who lose weight on other programs typically gain all the weight they lost back. When you reach your goal and stabilizes your weight, you still need to know how to maintain it. In the maintenance phase of the program, you will learn how to eat anything you want and as much as you want and still keep your weight within five pounds of your goal. They supplements we use meet those requirements. They were carefully selected to ensure that when combined with nutrient rich food, you get all the nutrients needed to burn more calories, reduce hunger, and allow for optimum cell function. This is one of the reasons our program is so healthy and easy to follow. It’s also the primary reason why you will lose weight so fast and find it easy to keep the weight off. Our multi-nutrient capsules provide naturally occurring and easily absorbed vitamins, minerals, phytonutrients and antioxidants that work synergistically in your body to provide 49 different super foods, extracts and concentrates including super-greens, organic fruits & vegetables, probiotics, soluble and insoluble fibers, herbs, spices, natural flavonoids and enzymes so you can be sure you are getting more of the important nutrients your body needs to work at it's full potential. This daily shake is a delicious and complete phytonutrient and antioxidant supplement that provides your body with an advanced combination of nature's healthiest fruits, berries, and garden vegetables along with rice bran, flax seed, and a probiotic blend for healthy digestion. The majority of dietary fiber products on the market are psyllium-based and cause bloating and stomach irritation. Rice fiber on the other hand avoids these unwanted effects. It promotes normal elimination and regularity while controlling glucose, cholesterol, and lipid levels in the body. We include nutritional fiber, significant quantities of the rice bran nutrients, gamma oryzanol, and several other phytonutrients (plant nutrients) that promote cleansing, detoxification, and healthy weight management. This provides you with omega-3 from fish oil, an essential fatty acid, fats that our body needs but can't produce. Everyone should take this supplement because it is almost impossible to get the Omega 3 and vitamin D we need to ensure we are not deficient. There are more than just a few principles of weight loss you need to know to master the skills necessary to control your weight. We narrowed down years of research and experience with thousands of successful dieters so we can teach you everything you need to know. We present all that information in a video series we call the twenty two principles of weight loss and control. You will never need to read another diet book again. Our dieters use this feature each day of the program to know what they are doing right or wrong and to learn the relationship between the decisions they make, and the amount of weight you lose each day. The best way to lose weight is to burn more calories. Your body is composed of trillions of cells that when supplied with the right nutrients, will function at a higher capacity and that will make them burn calories like never before. Unfortunately, you can’t eat enough food to get all the nutrients you need, so you need to supplement your diet to make up the difference. 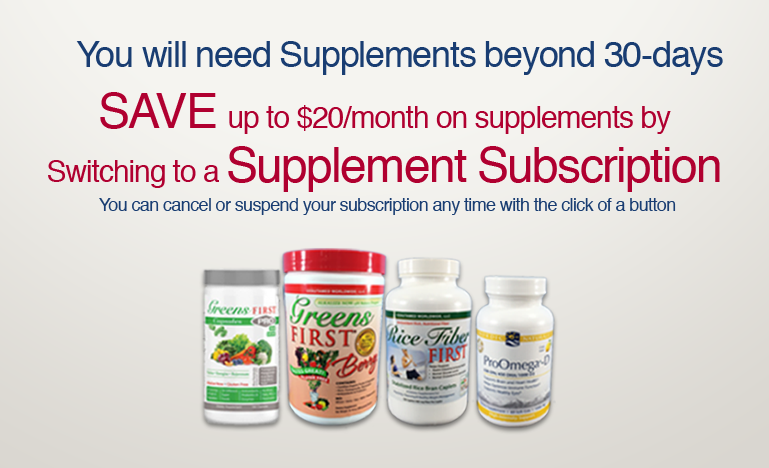 Taking the right supplements not only allows you to lose weight, it also makes keeping the weight off much easier. These natural whole food based supplements also provide your body with the nutrients it really needs to restore and maintain optimum health and vitality. We teach you what food is best to lose weight and keep from gaining it back and how to prepare meals that are not only easy to make, they also taste amazing and are good for your health. You will love the food you eat while losing weight so much that you will never go back to eating the way you did before. This diet will change your life forever. Your body is composed of trillions of cells that when supplied with the right nutrients, will function at a higher capacity to burn more calories than ever before. You can’t get all the nutrients you need from food so to lose weight and keep it off, you absolutely need to supplement your diet. These also provides your body with the nutrients it really needs for optimum health and vitality.